I just spent a week in Mazunte, Mexico for a retreat with Maha Rose South, and it’s safe to say I’m officially in love with Mazunte and can’t wait to go back. Mazunte is located in Oaxaca, on the southwestern coast of Mexico. It has all the wildness of the jungle and the ocean with a laid-back, shoes-optional vibe. That made it the perfect place to both immerse myself in the intensity of the retreat setting and relax before and after the retreat. Keep scrolling to learn all about this gorgeous beach town and discover everything you need to know for your trip to Mazunte, Mexico! How much does Mazunte Mexico cost? Mazunte is a relatively cheap city. You can find hostels for as low as 12 USD a night, Airbnbs for around 25 USD, and accommodation in pretty nice hotels for around 40 USD. You can find a delicious meal in Mazunte for under 100 pesos, which at the time of writing this article is about 5 USD. Going to the beach and going hiking are the two main attractions in Mazunte, and both of those things are free! You can rent an umbrella and beach chair all day for 200 pesos (10 USD) You can find massage and Reiki for around 600-1,000 pesos (31 to 51 USD), yoga classes for about 60 pesos (3 USD), and plenty of free activities like drum circles on the beach and ecstatic dance. Food is fairly cheap as well. You can get a great meal for 95 pesos or less, which is about 5 USD. Mazunte is a super small, laid back beach town town! With that being said, there’s plenty to do and much of it is free. Like I mentioned above, going to the beach and going hiking are two of the main attractions in Mazunte. Go to the beach. Mazunte beach is a beautiful, popular beach that you can find by walking to the end of Calle Rinconcito, the main street in Mazunte. Do a dolphin and sea turtle tour. I didn’t end up doing a dolphin tour in Mazunte (the day I was going to go at the end of my trip was too windy, so I missed out) but it’s one of the town’s more popular attractions. There are tours all over town, so choose the one that resonates with you and expect to pay about 200 pesos / 10 USD. You’ll be able to swim and play with wild dolphins and sea turtles. Try going in the morning, because the sun in Mazunte is extremely strong (seriously, wear sunscreen even if you don’t think you need it!). Go hiking to see the sunrise or sunset. 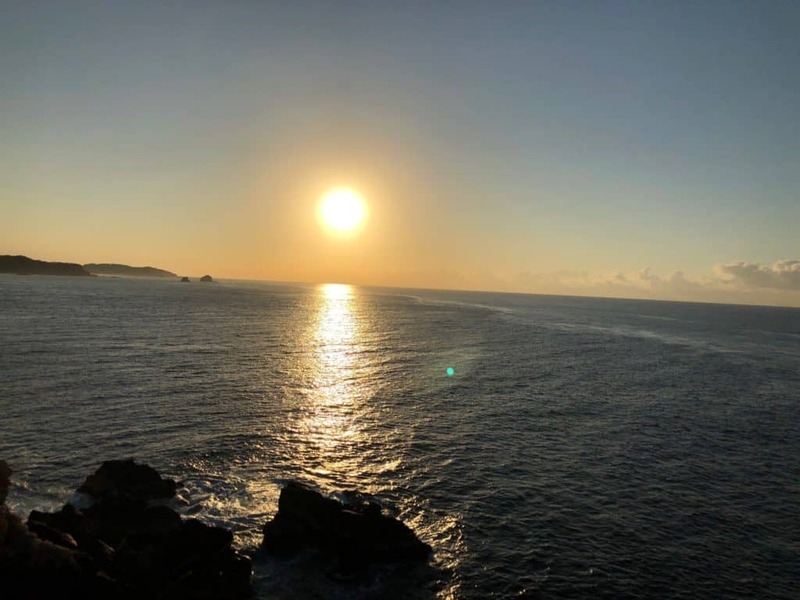 The best spot in Mazunte to see the sunrise or the sunset is Punta Cometa, and if you’re down for a little rock climbing (it’s very steep! ), you can continue down into a little cove (pictured above) where you can spend the afternoon. Do ecstatic dance. Ecstatic dance is big in Mazunte, and I love ecstatic dance so I really enjoyed the donation-based afternoon ecstatic dance at Hridaya! Even if you’re new to ecstatic dance, check it out — you won’t be sorry. There are also ecstatic dance events on the beach — check out the flyers posted around town for details. Experience the healing arts. There’s no shortage of massage, Reiki, and other types of energy healing in Mazunte. The best massage can be found at La Luna de Miel. Try the hour and a half option for 1,200 pesos (about 60 USD — including tip). There are cheaper options around the town- as cheap as 600 pesos- so if you’re on more of a budget, you can still experience massage to release all the post-plane or post-bus tension. There is also Reiki and other types of energy work available. There are flyers posted all over town that will give you plenty of options for energy work, so check them out! When I was there, there were also plenty of flyers for healing circles and events on the beach. 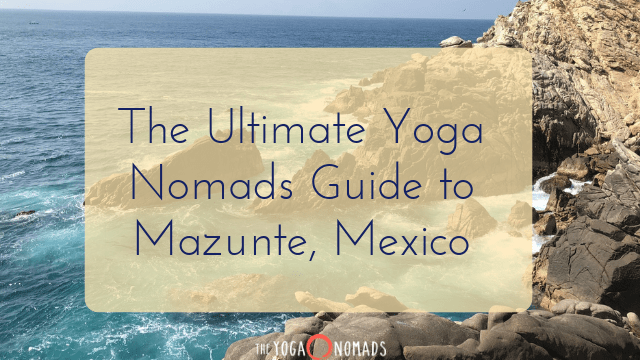 There are plenty of options in Mazunte. If you’re looking for a hostel, many don’t have an online presence and you’ll be fine to arrive with no reservation. Start walking down the main road and you’ll find several! Some nice hotels are La Secreta (this is where I stayed), La Luna de Miel, and Una Posado Mas. Expect to pay 35-60 USD per night, depending on how many people you have. All three are centrally located, about a 7 minute walk to the beach and right off the main road. There are plenty of Airbnbs to choose from as well, and you can find really nice ones for as low as 20 USD. Don’t worry too much about the location — it’s a small town so as long as you’re in Mazunte, you should be fine! 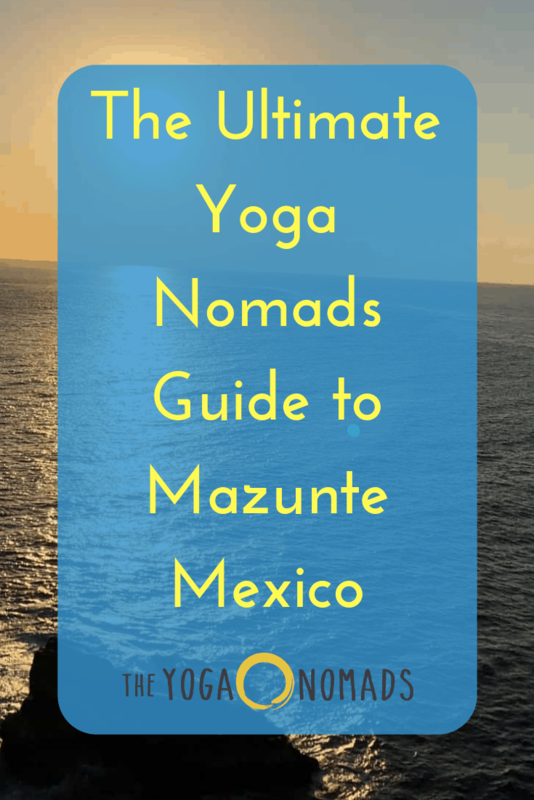 There are two main spots for yoga classes in Mazunte, Hridaya and Casa Om. If you’re looking for a yoga or silent meditation retreat, check out Hiridaya! 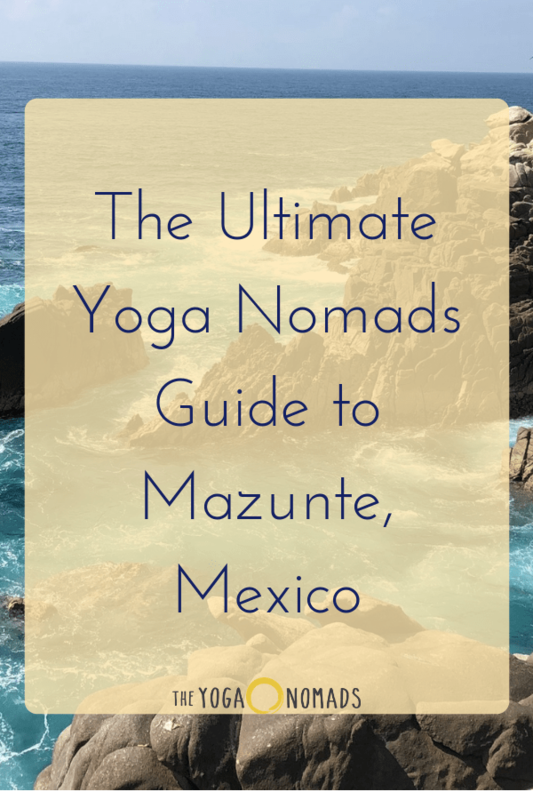 But you don’t have to be on retreat to enjoy yoga classes in Mazunte. Both Hridaya and Casa Om hold daily yoga classes, meditation classes, and events including drum circles and ecstatic dance. Most of the yoga classes are two hours long, which was pretty surprising to me as someone used to hour and fifteen minute or hour and a half maximum length classes. 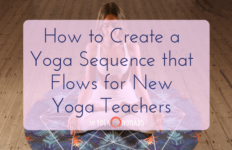 But the classes here do an amazing job of a deep sequence of beginning postures to get you warm, ending postures to cool you down, and a nice long savasana. To check out their up-to-date schedules of classes and events, you’ll have to stop in while you’re in Mazunte. But I promise, there will be plenty to do. It probably could not be any easier to find vegetarian (and vegan) food in Mazunte! You’ll find plenty of seafood and meat for those who eat it, but there’s no shortage of vegetarian and vegan cuisine as well. Many of the restaurants in Mazune don’t have websites or even signs out front, so if you’re wandering down the street wondering where to eat, check out the places that look have people eating in them and go from there! There are a few places that I really enjoyed during my time in Mazunte. Cocosun. Once my friend and I discovered Cocosun, we went there every afternoon to get ice cream to eat on the beach. It’s a little ice cream spot with vegan coconut milk ice cream, and it’s delicious. Walking back from Mazunte beach, it’s just a few minutes up the road on your right. The flavors change every day, but they had some classics like chocolate, coconut, and mango and some more unique flavors like spirulina and mamey. If they have mamey, which is a sweet, tropical fruit, get it! It was my favorite. You can get one scoop of ice cream for 35 pesos (1.80 USD), or two scoops for 60 pesos (~3 USD). Smoothie place. If you continue walking down the main road from Mazunte beach, you’ll find a smoothie shop on your right. It’s further down, more like a five minute walk. There are lots of smoothie places in Mazunte, but you’ll know it’s the one because the floor is painted blue and they have Acai bowls! They also have fresh juice, smoothies, and vegan treats like brownies, blondies, and banana bread. If you have a chocolate peanut butter craving like I do pretty much every day of my life, get the cacao bowl! It comes topped with coconut, figs, strawberries, and chia seeds. But they have endless combinations for all palates, and everything is fresh and delicious. Sushi place. Again, walking down the main road from Mazunte beach you’ll find a sushi place on your right (down a little side road– there will be a sign pointing you in the right direction) before you reach the smoothie place I mentioned above. This sushi restaurant doesn’t just have sushi. They have sushi, kombucha, tacos, and Asian bowls. It may seem like a weird combination, but the food is really good, and it’s cheap! Vegan burger place. As you walk down the main road from the beach, Calle Rinconcito, you’ll see an uphill cobblestone street on your left called Callejón del Armadillo. Right past this street on the left you’ll see a little open-air restaurant (all the restaurants are like this in Mazunte!) that sells vegan burgers, tacos, and kombucha. You can get a vegan burger with fries for 75 pesos, about 4 USD. How’s the digital nomad Mazunte life? Mazunte isn’t a hub of digital nomads like a place like Ubud is, but I encountered many folks from other countries who ended up coming to Mazunte and never leaving. Some of those people own businesses in Mazunte now, but I imagine some must be digital nomads, too. You won’t find tons of cafes to work at in Mazunte, and the Wi-Fi isn’t the best. Your best bet for good Wi-Fi is at your Airbnb, hostel, or hotel. I found the Wi-Fi at my nice hotel to be not nearly as good as the Wi-Fi at my Airbnb, so you may be fine if you’re staying in someone’s home. Being a digital nomad in Mazunte is definitely doable. Like many other countries, just be aware that internet connections and the pace of life in general is slower. As far as traditional grocery stores, you won’t find any in Mazunte. You will find fresh open-air markets, stands on the street for fresh fruits and veggies like mango and avocado, shops that sell pre-packaged food like cookies and chips, and a great bakery called Baguette on the main road in Mazunte where you can get fresh loaves of bread. If you want to cook, your best bet is to hop around to the shops above and definitely go to the market for all the fruits and veggies you need! It’s on the road to Hridaya. You’ll never be sorry that you bought it. At Yoga Nomads, we use and recommend World Nomads travel insurance. Anne and Brandon, the founders of Yoga Nomads, were covered by it when Brandon needed surgery in Vietnam and when Anne was in a motorbike accident in Bali. Click here to read our epic guide to travel insurance which explains what it covers, how much it costs, and why we think all travelers should be covered. If you’re a US citizen, you likely don’t need a visa to visit Mexico. You’ll need a visa if you’re a business traveler or plan to stay for more than 180 days. Otherwise, you’re good to go. Many countries are the same. You can check out a full list of countries whose citizens do not need a visa to visit Mexico here. I got to Mazunte by flying from Mexico City to Huatulco and taking a taxi from Huatulco to Mazunte. The taxi ride is about an hour long and costs 1,100 pesos (about 57 USD) on the way to Mazunte and 700 pesos (about 36 USD) on the way back from Mazunte. I was able to split a taxi with two other people who were also heading to Mazunte, making it much cheaper for me! The Huatulco airport is super small and everyone told me that I only needed to get there an hour ahead of time. I’m normally super early for flights because I hate stressing about time, but I followed their advice and the line to check in was insanely long! It may just have been the day I was flying, but luckily I was able to download the Volaris app (the airline I was flying) on my phone and check in online. If I hadn’t been able to do that, I probably would have missed my flight. Just to give you fair warning! 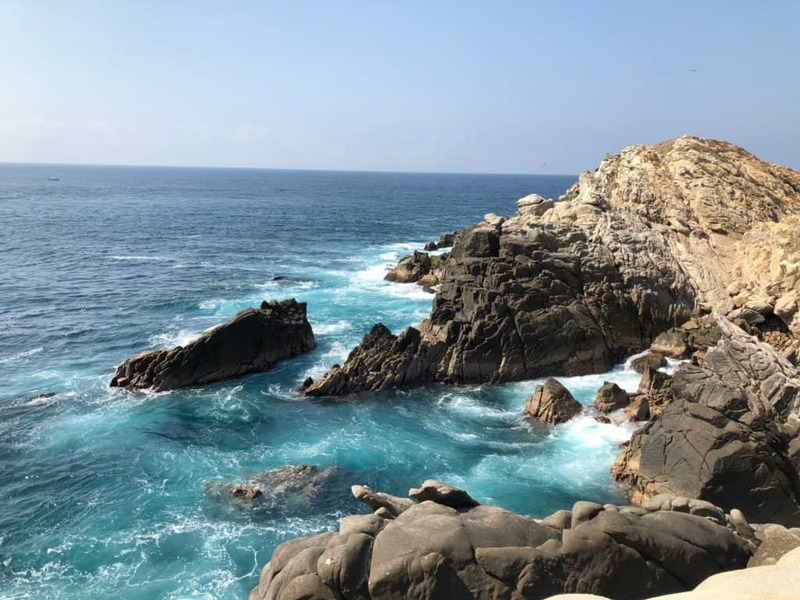 You can also get to Mazunte by flying into the Puerto Escondido airport and taking a taxi (again, try to share with someone to save money) or bus. The Hulatco airport is a little bit closer and worked out better for me with flight schedules and prices, which is why I chose to fly into that airport. There are buses that will take you to Pochutla, a 20-30 minute drive to Mazunte, from Oaxaca City. It’s about an 8-hour trip. If you’re in Mexico City, you can take a bus to Oaxaca City and change buses (about 10 hours), or take the bus from Mexico City to Puerto Escondido to Pochutla (about 14 hours). Have money with you before you arrive to Mazunte. Trust me, you’ll be glad you did! My time in Mazunte included me realizing I left my debit card in an ATM in Mexico City, realizing I had a second debit card for emergencies that I never use, and then realizing it didn’t matter anyway because the ATMs in Mexico apparently don’t take Discover card and the ATMs in Mazunte were out of money. So yes, there are ATMs in Mazunte. But it’s pretty hit or miss whether they’ll have money in them or not, so definitely bring plenty of pesos with you. Try to bring small bills if you can, because you’ll have a hard time breaking 500 peso bills, which is what the ATMs tend to spit out. Some shops and restaurants in Mazunte do take credit cards, but don’t count on it! Cash is always best.